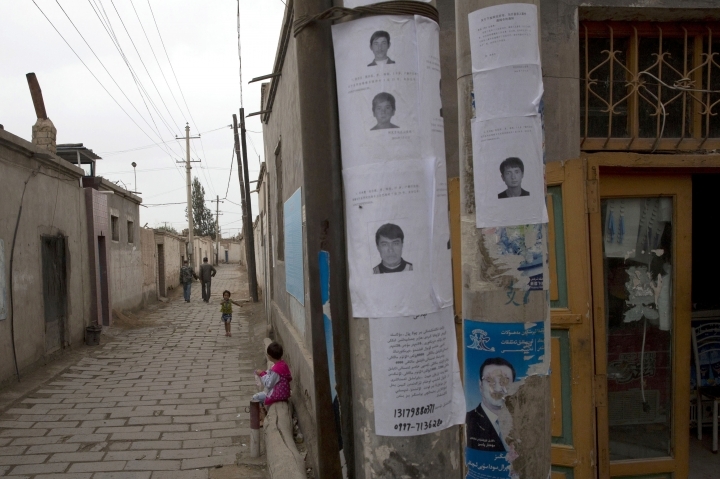 BEIJING — China appears to be laying the groundwork for the mass collection of DNA samples from residents of a restive, largely Muslim region that's been under a security crackdown, rights observers and independent experts said Tuesday. In one of the most recent attacks, eight people, including three assailants, were killed in a February knife attack in southern Xinjiang's Pishan County, which borders Pakistan. 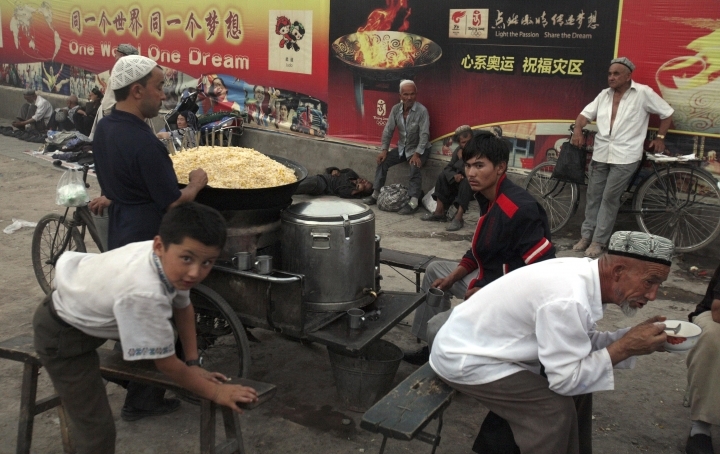 Chinese authorities seeking to counter religious extremism among the Uighurs (pronounced WEE-gurs) have taken increasingly aggressive steps to quell the unrest. Those have included mandatory satellite tracking systems for vehicles in some areas, rewards for terror-related tips and prohibitions against women wearing veils and men growing beards. The purchases of DNA testing equipment in Xinjiang were confirmed by an official at the regional Public Security Bureau. The official, who gave only her surname, Huang, said a supplier already had been found. In Xinjiang's Sheche County, suppliers were being sought for voiceprint collection systems and 3-D portrait systems, according to a security official surnamed Yin, who declined to give further details. If used at full capacity, the new equipment could be used to profile up to 10,000 DNA samples a day and several million a year, said Yves Moreau, a computational biologist specializing in genome analysis and DNA privacy at the University of Leuven in Belgium. The scale of the purchases raises "a legitimate concern that Chinese authorities could be planning to DNA profile a large fraction, or even all" of the Uighur people in Xinjiang, Moreau said. Since it started collecting DNA profiles in 1989, China has amassed the unique genetic information on more than 40 million people, constituting the world's largest DNA database, according to a study last year by forensic researchers at the China Ministry of Public Security. Unlike many other countries, China lacks legal protections to guard people's privacy and prevent their genetic information from being misused, said Helen Wallace, founder of the British group GeneWatch. "Xinjiang is already an oppressive region with a high level of surveillance," said Human Rights Watch researcher Maya Wang. "To collect even more information on a mass scale unrelated to criminal investigation opens the door for an even greater level of surveillance and control." Government-sponsored DNA databases compile the genetic markers present in each individual, typically from blood, saliva or hair samples. They're used by law enforcement agencies around the globe as evidence in criminal prosecutions and to monitor prior offenders. In the United States, where laws generally limit DNA collection to people who have been arrested, the Federal Bureau of Investigation has 12.8 million offenders in its DNA database, according to the agency. That's almost 4 percent of the total U.S. population. The United Kingdom has 5.2 million people in its database, or about 8 percent of its population, according the British government. China's database now covers about 3 percent of its population. It's been used by authorities to reunite abducted children with their parents. It was also used in a highly publicized case last year to help track down a serial killer who authorities said admitted to the murders of 11 women and girls over a 14-year period. "It's clear there's a fairly large infrastructure being built for DNA collection and they're planning to expand that further," Wallace said. "I would like to see China put their legal database on clear legal footing. That includes the kinds of safeguards we see in other countries."